All proceeds go to Friends for Hope to support the retreat. For more information, call Carol Hudson @ (502) 614-7062. Includes prizes, snacks, and non-alcoholic drinks. 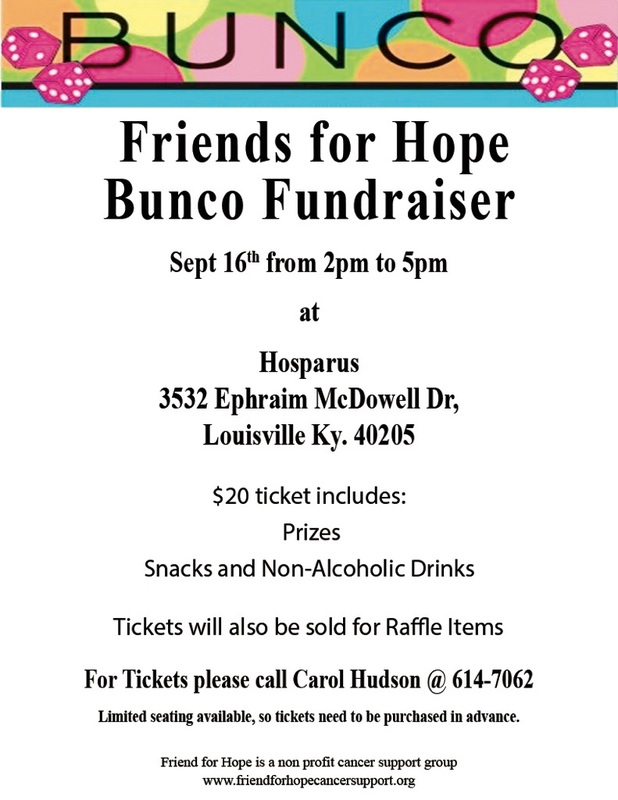 For Tickets, call Carol Hudson @ (502) 614-7062. Click HERE for our flier with details.